Drago Bajt, born in Ljubljana in 1948, is a translator, an essayist, a publicist, a literary critic and a riddle-maker. He studied Russian and Comparative Literature at the Faculty of Arts in Ljubljana. He worked as a journalist and editor in the cultural-literary editorial section of Radio Ljubljana (1977-1988), an editor at Tehnična založba Slovenije (1988-1995), a lexicography editor at Mladinska knjiga (1996-2004) and from 1982, an editor at the magazine Nova revija. He retired in 2008. He has translated works of Russian writers and poets of the 20th century, among them, Andrei Bely, Yevgeny Zamyatin, Boris Pilnyak, Venedikt Yerofeyev, Osip Mandelstam, Vladimir Voinovich, Aleksey Remizov, Joseph Brodsky, Fyodor Dostoyevsky, Daniil Kharms, and Andrei Platonov. Bajt has also translated several plays: Erdman (The Mandat, 1983), Bulgakov (The Purple Island, 1991) and Vvedensky (Christmas at the Ivanovs’, 2013). 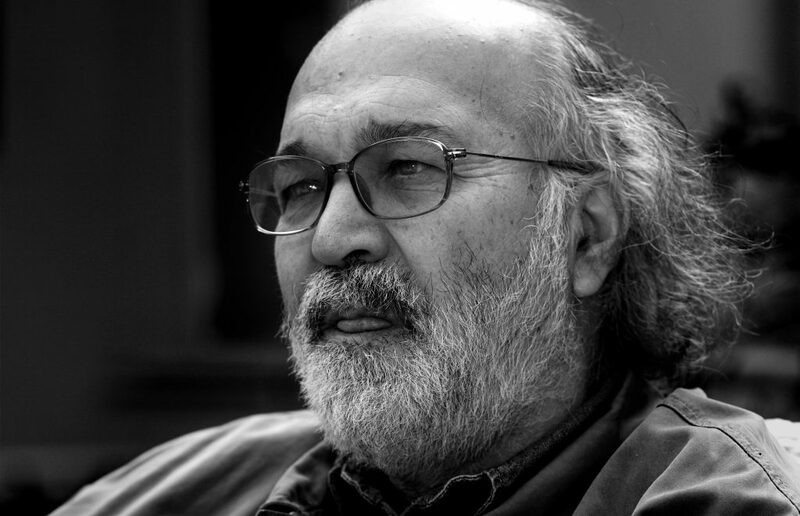 He has published translations of literary-theoretical tractates by Mikhail Bakhtin (collected into a volume called Theory of the Novel, 1982) and of other Russian Formalists (1984), namely, Yeleazar Meletinsky (2001) and Viktor Shklovsky (Teorija proze, 2010). Bajt also translated from Serbian and Croatian literature, mostly poetry (Raičković, Sekulić, Rakić, Matoš, Gudelj, Kiš) and contemporary Slovak prose and poetry. As an essayist and publicist, he wrote about the contemporary Russian literature from Symbolism to the Postmodernism: a study Ruski literarni avantgardizem (Russian Literary Avant-Gardism 1985), essays V burji besed (In the Wind of Words, 1998), a monograph about Socialist Realism Kar je sonce za luno, to je Rusija za nas (What the Sun Is for the Moon, That’s What Russia Is for Us, 2016). Bajt wrote about Slovenian literature, especially about the prose of at the time younger generation Zapisi na robovih (Notes on the Edge, 1986), about science fiction Ljudje, zvezde, svetovi, vesolja (People, Stars, Worlds, 1982), about the theory and history of translation, and about riddle-making. Lately, he is mainly occupied with literary praxeology (having written the manual Pišem, torej sem [I Write, Therefore I Am, 1993 and 1994) and lexicography (Slovenski kdo je kdo [A Slovenian Who Is Who] 1999 and Slovenski veliki leksikon [The Great Slovenian Lexicon], 2003-2005). He edited selections of Russian prose in the Kondor collection, several science fiction books, many works by Vladimir Bartol, Sončnice poldneva (A Sunny Afternoon, 1993), an anthology of the Slovenian poetry and three books of collected works of Milan Jarc (2012, 2013, 2015). Bajt also compiles popular lexicons and writes cultural publicist pieces. In 1979, he received the Sovre Award for his translations; in 1985 her received the Zupančič Award; in 1991 he received the Prešeren Fund Prize.